Penguin Parade, located on the south-western tip of Phillip Island, is the number one natural wildlife attraction in Australia. 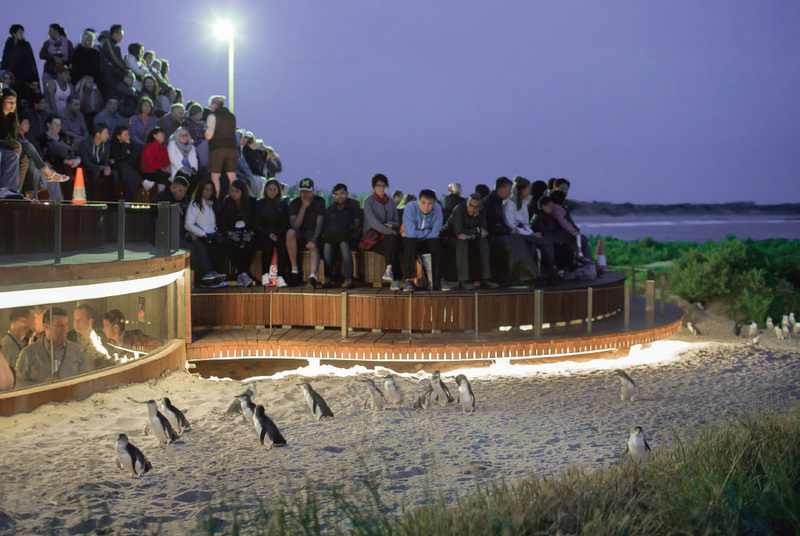 In November 2015 Phillip Island Nature Parks opened the newly constructed “Penguins Plus” viewing experience. The new 300-seat platform provides unique viewing opportunities whilst the underground viewing area will allow up to 70 visitors to come face to face with the penguins. Engeny was engaged as part of a multi-disciplinary project team to provide specialist flooding advice to the design of the new viewing platform. Engeny undertook detailed flood modelling of the Swan Lake Drain catchment which outlets to Summerlands Beach beneath the viewing platform and included assessment of existing catchment and proposed development conditions. Our modelling was used to provide input to the design of the platform to ensure that its construction did not adversely impact flooding in the area surrounding the platform where numerous penguin burrows are located.